Usually called “wooden blinds”, venetian blinds are the best when it comes to keeping the light out and keeping your privacy in. These blinds usually consist of thin, wooden slates that are connected by string. Venetian blinds are known for their durability and quality materials. Additionally, they come in a variety of colors which allow you to find the right colors to match your existing home décor. These slated blinds are said to have come from Venice, Italy during the mid 18th century. It is said that merchants and traders brought this type of style back to Venice and Paris when traveling in Persia and the Far East. John Webster from London introduced America to venetian blinds in 1767. Venetian blinds are known for their adjustable slats. Each blind is made from horizontal strips, those strips being connected in rows. Even though they are usually made out of wood, venetian blinds can also be made from PVC or lightweight aluminum, but the wooden blinds are generally the best investment. The wooden blinds are made of pine, oak, or walnut making them an essential and elegant touch to any living space. When you need blinds for the bathroom, you may want to lean more towards the venetian blinds made from PVC because those tend to be resistant to the steamy atmosphere. The lightweight aluminum blinds are very durable and fire resistant. Keeping these blinds clean is not hard to do either. All you have to do is put the blinds at a 90 degree angle with the window and simply wipe them down with warm water. You can do the same with the wooden blinds and then spray furniture polish on the slats if you would like. Because the slats are slanted, they tend to build up dust faster than other blinds but like I said before, they are easy to clean. For a quick clean, just run the feather duster over the blinds and that should do the trick as well. 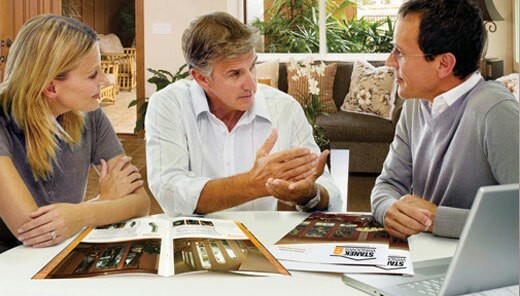 To learn more about the benefits of venetian blinds, visit our showroom in Jacksonville, Florida, today. Browse through dozens of styles and colors to find the right blinds to match your home’s unique style.